Today, the official CapitolCouture.pn Tumblr site relaunched with the long awaited Spring Issue: "Chroma Nouveau". 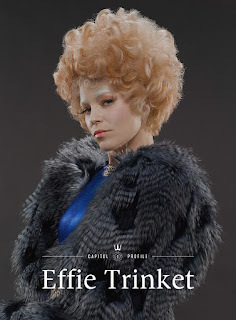 Featured on the site are new looks at Effie, the districts, and many other Capitol style designs. Take a look here - it most certainly is a sight for sore eyes! You can also contribute your very own "#CapitolRedCarpet" look to the site!